According to a June study by Semiocast, there are approximately 70 million users on the visual social media site Pinterest. 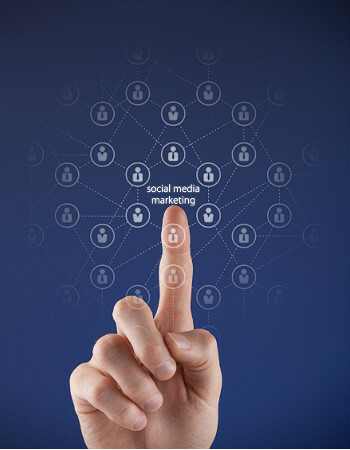 The French social media firm also found only 500,000 businesses on the site. Many businesses have embraced marketing through social media, but few know what to do with a visual site like Pinterest. Four Seasons Hotels and Resorts showed what can be accomplished with the recent launch of an interactive concierge Pinterest program called “Pin.Pack.Go." It enables users to share and receive recommendations on what to do during their stay at one of the luxury hotel chain's 91 hotels in 38 countries. Users of this interactive program make a comment under the general Four Seasons Pinterest Pin.Pack.Go board to the specific hotel at which they will be staying. From there, they create their own personal Pin.Pack.Go Pinterest board, invite the hotel to contribute on the board and also follow the hotel’s Pinterest board. I decided to test-drive the “Pin.Pack.Go” virtual concierge program and see how it works. I chose the Four Seasons London at Park Lane, since I am in the early stages of planning a trip to London next year. Following their instructions, I commented under the Four Seasons hotel board. Then I followed Park Lane's board and invited them to pin on my board once created. “Pin.Pack.Go” is beneficial for travelers because it helps to plan what you want to do and maybe things you didn't think about doing. Since the pins send you directly to the websites of the attractions, travelers can find out if it's free or if a ticket is needed to that specific attraction. This new initiative gives the Four Seasons a sizable advantage over its competition because of the direct interaction they have with their followers in helping them plan out their trips. Not only are consumers receiving assistance with their vacation itineraries, they are also being exposed to the Four Seasons brand, and what their hotels have to offer — from rooms to food and atmosphere. It’s a first for the hotel industry when it comes to an interactive concierge social media marketing tool, but this is not the first Pinterest initiative by Four Seasons. In May 2012, the chain launched a Four Seasons Bridal Pinterest board to help couples plan out their dream wedding. Other hotel chains such as Hilton, Marriott and the Yes Hotel Group all have Pinterest boards, but not to the extent of Four Seasons. For example, Marriott's Pinterest page shows the different views from some of their Marriott locations, but little else. Another segment of the travel industry that has taken advantage of Pinterest has been state convention and visitor bureaus, which use it to promote their cities and states visually. For example, the state of Maryland has an official Pinterest guide for all things Maryland. Some of the boards they have on display are activities to do in the state, famous celebrities from the state and what to eat. Since Pinterest is a visual social media network, a business has to think about whether an image would be eye-catching to users. When pinning items on Pinterest you have to keep in mind if the image is attention-worthy enough for a user to re-pin that image onto their board to be viewed by others. Beyond that, consider if that image is worth clicking on and visiting the page from which the image originated. 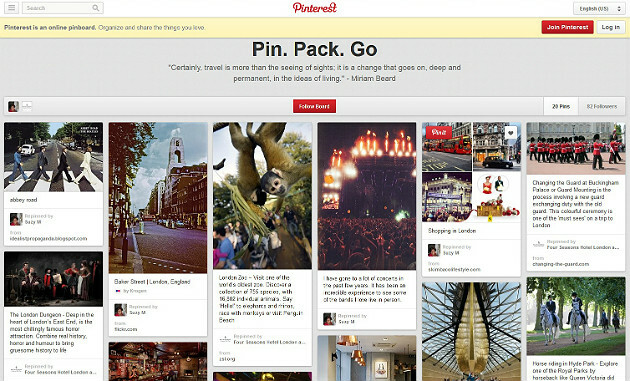 Every Pinterest image is attached to a link where users can click on that image and visit the original website. Say you are a hotel. You pin images of your hotel room, and users becomes intrigued enough to click on the picture to learn more. If that website is not up-to-date or no longer works, that user may unpin that image or just look elsewhere at a competitor. Your Pinterest board should be organized to provide easy accessibility for users. They should be able to look at boards and know what this board is about based on the pictures. When users visit websites sometimes they may want to come back to it or remember it for the future. By having a Pinterest button on your website, it will make it easy for users to pin images onto their own Pinterest board to be shared with others. Once you become familiar with the website it can become addicting. Make sure when using Pinterest for business that you keep your personal pins and professional pins separate. One way of doing that is to either have your own personal Pinterest page or having a secret board where only you can see that board and not your followers. Does your business have a presence on Pinterest?